There is an online objective type test followed by interview. SBI CLERK is a Government exam in India. In India, thousands of student are waiting for submission a Form. Today I am sharing about best coaching in SBI CLERK, Exam Pattern, Syllabus, and most important How to crack SBI CLERK exam. The Exam Guru provides an SBI CLERK Classes in Rohini. NOTE: Candidates have to qualify in each of the three tests by securing passing marks to be decided by the Bank. Adequate number of candidates in each category as decided by the Bank (approximately 20 times the numbers of vacancies subject to availability) will be short listed for the Main Examination. Each test will have separate timing. The questions in objective tests, except for the test of General English, will be bilingual i.e., English & Hindi. The candidates are required to qualify in each of the Tests by securing passing marks, to be decided by the Bank. SBI Clerk Candidates will have to pass in each of the objective tests. The passing marks in each of the tests will be decided by the Bank on the basis of the performance of all the competing candidates taken together in each test to a minimum required level. SBI Clerk Candidates are also required to score a minimum percentage marks on aggregate (For SC/ST/OBC/PWD/XS candidates, 5% relaxation available thereon). Minimum percentage of marks on aggregate will be decided by the bank. Phase – III: Interview: Candidates qualified in the test (main examination) will be placed according to their marks in descending order in respective categories. 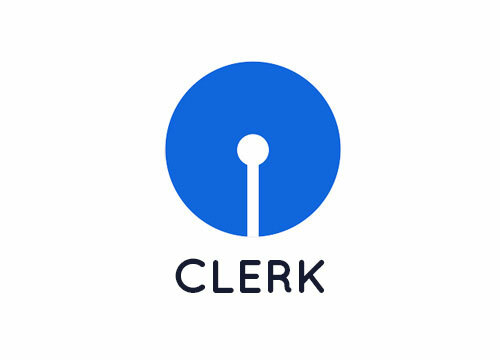 SBI Clerk Exam Depending upon the number of vacancies only a certain number of candidates amongst those who qualify by ranking high enough in the merit will be called for interview in the ratio of maximum 3 candidates for each vacancy. SBI Clerk Exam Candidates are required to score a minimum percentage marks (to be decided by the bank) in an interview to be considered for final selection. 5% relaxation for SC/ST/ OBC/PWD/XS category will be available thereon. Note: Interview call letters will be uploaded on the Bank’s website after declaration of result of an online test. Test of knowledge of official and/or local language: Those who produce 10th standard mark sheet/certificate evidencing having studied official (local) language will not be subjected to any Language test. In the case of others, the language test will be conducted at the time of an interview (if interview is held) /before final selection (if an interview is not held). Candidates not found to be proficient in official and/or local language would be disqualified. Educational Qualification: Graduation in any discipline from a recognized University or any equivalent qualification recognized as such by the Central Government. Those who are in the Final Year/Semester of their Graduation may also apply provisionally subject to the condition that, if called for the interview, they will have to produce proof of having passed the graduation. Candidates having Integrated Dual Degree (IDD) certificate should ensure the date of passing the IDD. Candidates possessing the qualification of Chartered Accountant may also apply.